The Samsung Galaxy Ace 2 manual or user guide now available for download directly at samsung official website. The Samsung Galaxy Ace 2 manual is instruction ebook that contain reference information and important tutorial for owner of this smartphone. The Samsung Galaxy Ace 2 GT-I8160 user guide comes in PDF format with file size is 6.8 MB consisting of 156 pages and support in english language. In the Samsung Galaxy Ace 2 user manual, you can find information for example about assembling tutorial, how to insert a memory card, turn phone on / off, use the touch screen, lock and unlock touchscreen and keys, access applications download applications from play shop, download files from the web and synchronise data. 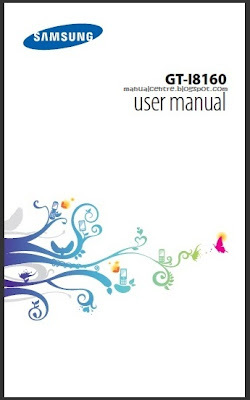 Get and download the Samsung Galaxy Ace 2 GT-I8160 manual / user guide here.